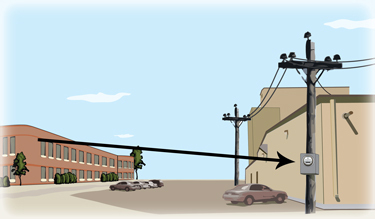 We’ve all been there before- the telemetry equipment or energy management system you need to connect with is housed in a building, but the electric meter is on a pole hundreds of feet away. Before you bring in the concrete saw, backhoe and the trencher, or attempt to run wires overhead, consider the PRL-900 Wireless Pulse Link. The PRL-900 makes a reliable wireless connection between the pulse initiator of the meter and a matched receiver up to 1000 feet away in a direct line-of sight. Operating in the 900 MHz band, the PRL-900 creates a pulse output virtually identical in width and frequency to that seen at the input. 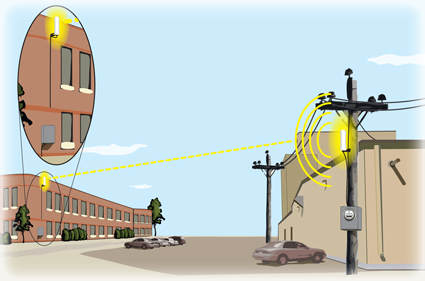 Signals from the weather-resistant transmitter are redundant and verified before being sent, insuring accurate transmission of both energy consumption and demand data. At the receiving end, the data is verified again, and runs through a software algorithm designed to insure integrity before being output to an energy management system, telemetry unit or other device. Because KYZ pulses are the universal standard in the measurement of power demand and consumption, the PRL-900 can be the critical first link in virtually all types of measurement and telemetry systems. It accurately replicates pulses from the meter’s KYZ pulse initiator, so you can be assured that trustworthy data lies downstream. 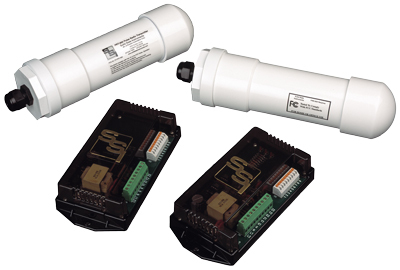 When connected to an operating supply voltage of 120 or 208-277 VAC, the PRL-900 is capable of sending up to four pulses per second (pps) for Form C and two pps for Form A. The transmitter’s burden is less than 10mA. In situations where transmitter power must be supplied by solar panels or batteries, the PRL-900 is capable of operating in super low power mode at rates up to 1 pps. The system consists of a transmitter and a receiver with four channels, which may be configured to send Form C or Form A pulses. In normal mode, two Form C or four Form A pulses may be sent from the transmitter. With the PRL-900, many previously complicated installations become almost trivial, and, when compared with the cost of trenching several hundred feet across a parking lot, the unit is exceptionally simple, convenient and cost efficient.